And it gives you an extra 1.8m 6ft. High quality cable. Simple as that. 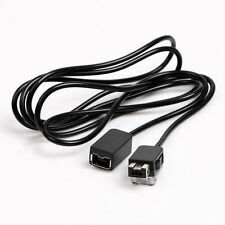 1.8m cable length. Just plug in and start playing. Perfect for getting distance between you and the console, for those retro gaming sessions on the couch! It's easy to connect. SmartPhone Accessories. Tablet Accessories. Garmin Accessories. Compatible with Sega Dreamcast only. 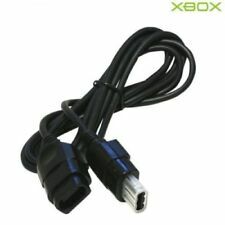 Compatible with the Sega Dreamcast, this extension cable is NOT suitable for any other console. - Simple plug and play operation. - Enjoy extra freedom and space when gaming. 3M 10ft extension cable makes play comfortable and allow you to sit wherever you like without feeling restricted. Length: 3M. High quality cable maintains signal integrity for smooth performance. 2 x Cable. Ideal if your Wii / WiiU is just too far away from the TV to get the correct positioning for the sensor. The extension cables can be linked together to make longer lengths. Cable Length: Appr. Compatible with all Wiis and all sensor bars. 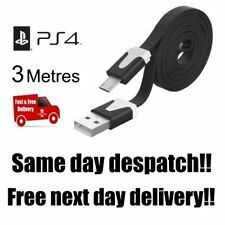 1.8m 6ft Extension Cable For Nintendo NES Mini Classic Controller Finding your NES Classic Edition Controller cable too short? The cntroller extension cable extends your cable length by 1.8 metres (6 feet). Now you can sit back and relax at a comfortable distance while playing all your retro classics. 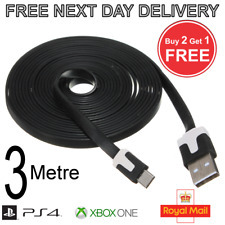 ---Extends your NES Classic Edition Controller cable by 1.8 metres (6 feet) ---Compatible with Wii™ and Wii U™ controllers Shipped from UK Worldwide Shipping. WHY Choose This SNES Extension Cable?. This extension cable cord is designed from top quality, sturdy material that will last long and save you money in the long run. Features an easy plug & play operation and works flawlessly well with the Super NES / NES Classic Mini Edition! WHY Choose This SNES Extension Cable?. 1 10 feet NES extension cable for Nintendo Suer NES / NES classic mini edition (Black). This extension cable cord is designed from top quality, sturdy material that will last long and save you money in the long run. SNES MINI(Nintendo Classic Mini、Super Nintendo Classic Edtion). NES MINI(NES Classic Edtion、Nintendo Classic Mini). Item Sizes: 3M. 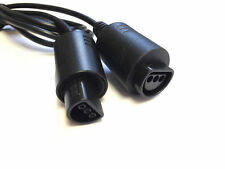 The Extension Cables Are Compatible with The FollowingModels High quality cable. Do you want to be able to use your phone, smartphone or tablet while it's charging but you don't like sitting next to the wall socket?. This does not affect your Statutory Rights. IF YOU ARE UNSURE ABOUT YOUR OWN DEVICE JUST DROP US A LINE. NINTENDO SNES - Super Nintendo. Compatible with Nintendo SNES mini & NES mini System. Cable Length: Approx1.8m. Simple to use, just plug & play. Detail Image. The colors may be a little difference for the different monitor display. The lead is approx. 200cm (6 and a half foot) long. Tablet Accessories. Garmin Accessories. Fitbit Accessories. Our goal is to provide gaming at affordable prices, along with the nostalgic qualities that retro and modern gaming provide. Ending Soon. We aim to provide the gaming community with the best value for money accessories and parts for video gaming. Compatible with Neo Geo AES only. 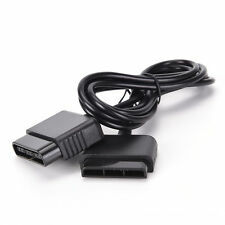 Compatible with Neo Geo AES console, this extension cable is NOT suitable for any other console. - Simple plug and play operation. - Enjoy extra freedom and space when gaming. Bit Set New Tri Wing 20pc/Set Tamper Proof Security Hot Torq Spanner Hex. 160 100% Frozen Food Grade Silicone Cube Mini Hot Ice Cubes Silicone Ice Tray. Bunny Cat Little Live Scruff A Luvs Pink Mystery Pet Dog Plush Animal Bath Toy. 3M 10ft extension cable makes play comfortable and allow you to sit wherever you like without feeling restricted. Length: 3M. High quality cable maintains signal integrity for smooth performance. Compatible with for nes. Features: Long, Easy to Use, Extension Cord. This extension cable is the solution you've been looking for. Length: 1.8m/6ft (Approx.). Tablet Keyboard. Interface: USB2.0 x 4 USB 3.0 x 1. Port 1: Wireless Remote port for watching net flix and easily surfing. Port 5: USB 3.0 storage, 64GB. Note: Port 5: USB 3.0 Port will only work with 64GB external hard drive! SmartPhone Accessories. - It's easy to connect. Tablet Accessories. Garmin Accessories. Fitbit Accessories. Enjoy extra freedom and space when gaming. - Black in colour. View Our Categories. 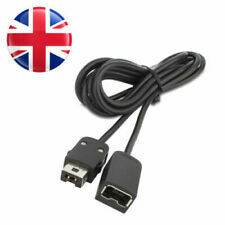 Compatible with the Sega Saturn, this extension cable is NOT suitable for any other console. - Compatible with Sega Saturn only. - Simple plug and play operation. - Enjoy extra freedom and space when gaming. Suitable for: Sega DreamCast. 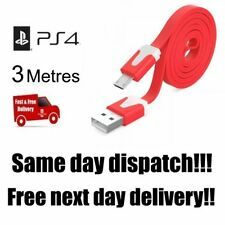 1 x Extension Cable. Cable Core: Bare Copper Wire. Cable Length: Approx.1.8m/6 ft. Using high fidelity shielding design, strong anti-jamming performance, good signal transmission effect. 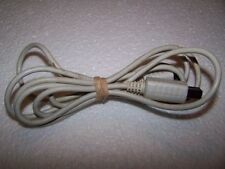 Nintendo Gamecube controller extension cable manufactured by Competition Pro. Also compatible with wired Gamecube controllers on Nintendo Wii. Item is brand new and factory sealed. Listing is for 1 extension cable only. UK & International postage available. Item will be posted within 24 hours of payment. Compatible with the Nintendo NES console only, not compatible with other Nintendo consoles. View Our Categories.